Hotel reviews from big families can really help you plan your next vacation. Did you have a great summer? Did you pack up the kiddos and go on a quick trip or a long vacation? Help big families like yours, leave a hotel review about where you stayed! Although we have TrustYou reviews to help you choose your hotel, we know that the first-hand experience of other big families is the most helpful. Your hotel review will give you a chance to win a $100 hotel gift card! Woohoo! The key to winning is leaving the most helpful review. Tell us about the size of the room – if it a good fit for families of 5, 6, 7, 8. If it was easy scoring extra towels. Let us know about the free breakfast and if there were tables for big families in the breakfast area. Tell us about the hotel pool and more! Give us the inside scoop. You get the idea! So sign in and leave a review. Don’t have an account? Use your Facebook credentials to sign in. or click on Write review on the hotel page. Did you stay at multiple hotels? We want to hear about them all! Leave a review for each hotel for more chances to win. Some guidelines and rules: Reviewer must be 18+. Must be Canada or USA resident. Proof of stay may be requested. Limited to one review per hotel property. All reviews are approved contingent site appropriateness and coherence with site TOS. Please remember that we do not list hotels with rooms that require roll-aways. This year the contest runs from September 3rd – October 1st, 2018. 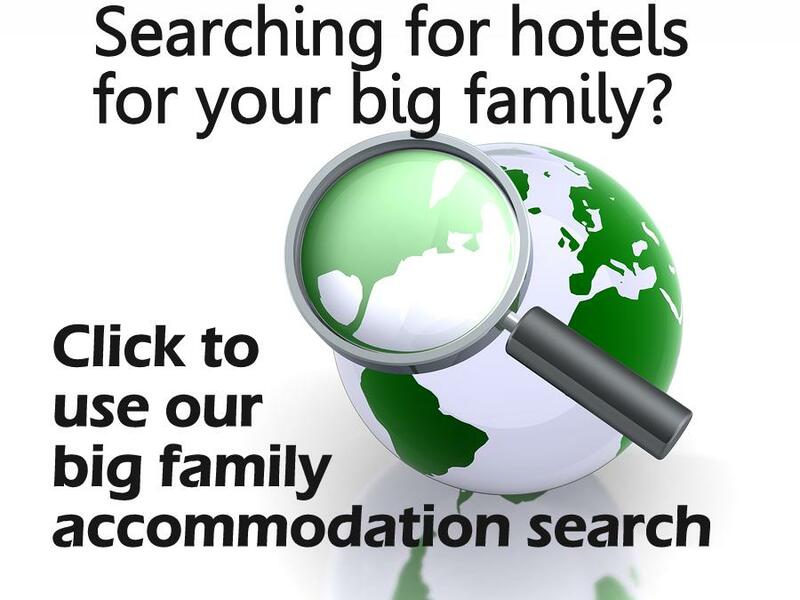 Head over to our big family accommodation search to leave your review.